across stores in North America and the United Kingdom during 2017.
and an international wholesale customer network. 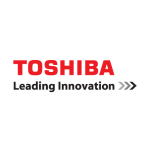 America, Toshiba Global Commerce Solutions. and is subject to change or withdrawal without notice.